GOLD Fields may buy AngloGold Ashanti’s Iduapriem mine in Ghana, according to a report by Bloomberg News which cited the views of Alfred Baku, Gold Fields’ vice president for West Africa. “We are interested in Iduapriem mine because of its geographical location and nearness to our Tarkwa mine,” Baku told Bloomberg News. Tarkwa is one of Gold Fields’ mines in southern Ghana. “We believe that it’s logical for us to develop the two. We will be happy to get it,” he said. Gold Fields is also looking for opportunities to buy mines in Mali, Burkina Faso and Senegal, said Bloomberg. AngloGold said it doesn’t comment on speculation around its assets. “Iduapriem is a solid, well-run mine that generates cash and has a range of promising project options that will generate additional value for us over time,” said Stewart Bailey, a spokesman for AngloGold, in an e-mailed response to questions posed by Bloomberg. Tarkwa produced 140,000 ounces in the first quarter of this year, compared with Iduapriem’s 46,000 ounces. Gold Fields said in February it was looking to buy assets in the regions where it already operates as it tries to increase metal output and lower costs. Gold Fields CEO, Nick Holland, was quoted by Miningmx on May 23 as saying that he retained an interest in participating in merger or acquisition activity even if the improvement in the dollar gold price made the market more competitive. “Everything in Gold Fields has been bought,” he said. “We’ve been much better at buying stuff and getting a lot more out of it than maybe other companies have been able to do. “Now we bought Damang for $32m; we bought Cerro Cerona for $40m. We got these things for an absolute bargain. So we’ve been quite good at that, but M&A is still something out there,” he said. “I think it’s becoming increasingly more difficult to buy stuff today, which speaks volumes for the decaying profiles that must exist in the seniors. You’ve seen when a decent asset comes onto the market, it’s like a feeding frenzy,” Holland said. 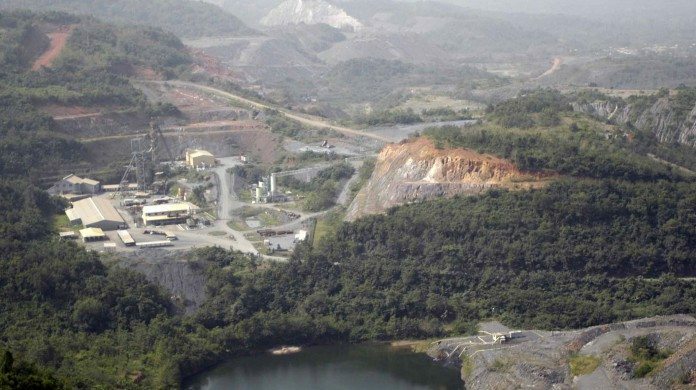 The Damang mine, which is adjacent to Tarkwa, is the subject of a study by Gold Fields which wants to see if it would be worth extending the life of the mine. The cost of the expansion could be about $100m. A Development Agreement with the government of Ghana has improved the feasibility of the expansion, Holland said. Announced on March 26, it allows for a reduction in the corporate tax rate to 32.5% from 35% previously, effective from March 17. The agreement also set down a change in the royalty rate from a flat 5% of revenue to a sliding scale royalty based on the gold price. The terms of the agreement would be effective for nine years at Damang, and 11 years at the nearby Tarkwa mine. “I think the sense is that with the development agreement, and the fact that we’ve got a really good core of high grade material underneath the original pit of two million or three million ounces of high grade, that puts us in a very good position to go ahead and do it,” said Holland of Damang’s expansion prospects. “The development agreement in Ghana is a step change for us,” he said. “It really puts Tarkwa in a much better position which was already making good money, but it improves it, and it creates a platform for us to look at the push back of the high grade pits at Damang,” he said. For goodness sake, do this deal!